It’s so hard to choose our favorite time of year here in Durango. Is it Christmas? Is it the Fourth of July? Is it San Juan Brewfest? Yep, San Juan Brewfest. 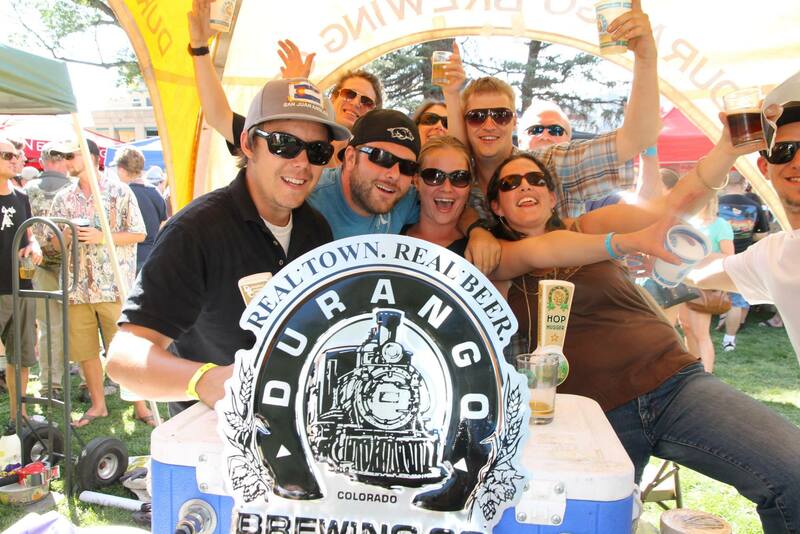 It’s right up there with other holidays in Durango because, in Durango, the annual beer festival is a holiday. This year, a record-setting 50 breweries will be serving up the suds. Breweries that are new to the event include Fort Collins Brewery, Upslope Brewing Company from Boulder, and Deschutes Brewery from Bend, Oregon, just to name a few. The annual San Juan Brewfest will be 1-5 p.m. Saturday, Aug. 23, in downtown Durango on Main Avenue between 12th and 13th streets. In addition to lagers, stouts and ales from 50 craft breweries, the festival will also feature live music from Durango’s own Blue Sage Bandits, Elder Grown and One Roof Blues as well as the headliner — The Hill Stompers from Los Alamos, New Mexico. General admission tickets cost $25, and VIP tickets are $50. Both comes with a 5-ounce souvenir tasting glass, but the VIP tickets include a bunch of extras, such as early entry to the event at noon (instead of 1 p.m.), access to the VIP lounge, and an invitation to the Brewers Party the night before at the Animas City Theater in downtown Durango. While you’re here for San Juan Brewfest, be smart (don’t drink and drive) and stay with us at the Durango Quality Inn. We’re just up the street from the festival, where a nice, comfy bed awaits your beer-soaked bones. P.S. Because we know this is what you really care about, here’s a full list of breweries that will be at the 2014 San Juan Brewfest.